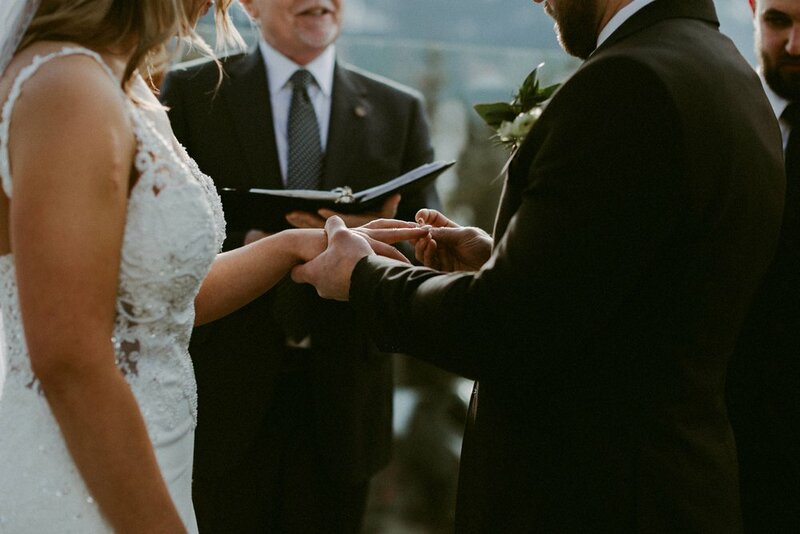 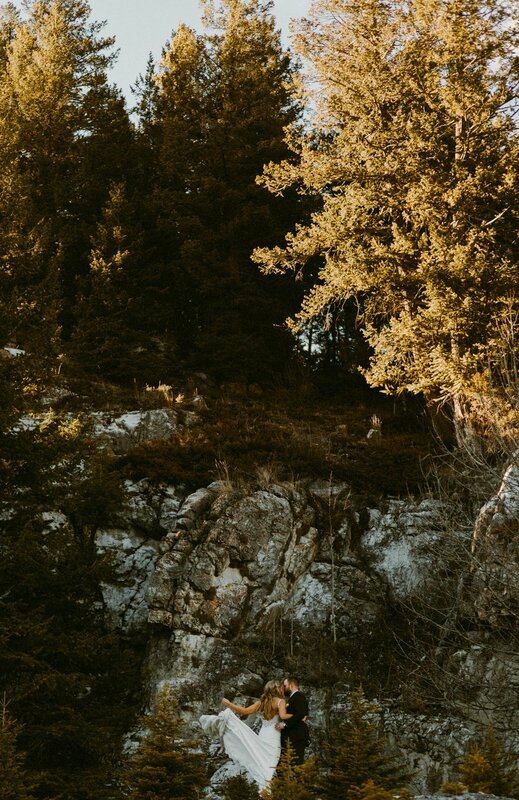 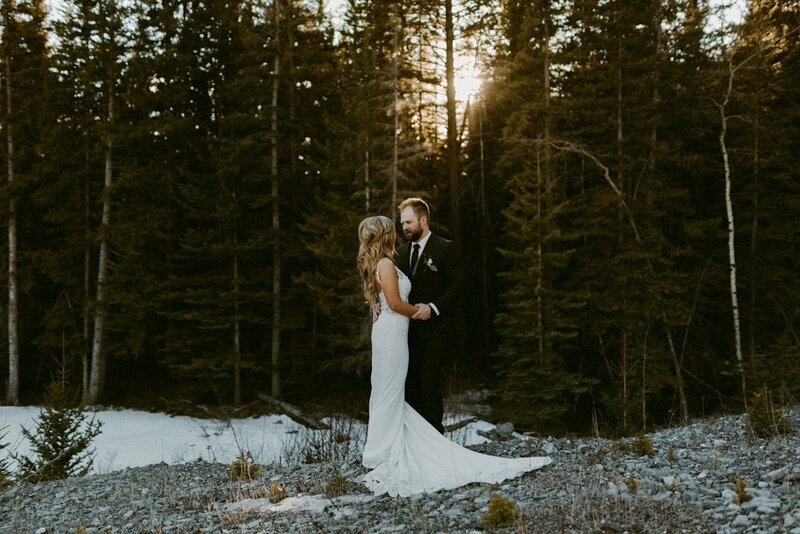 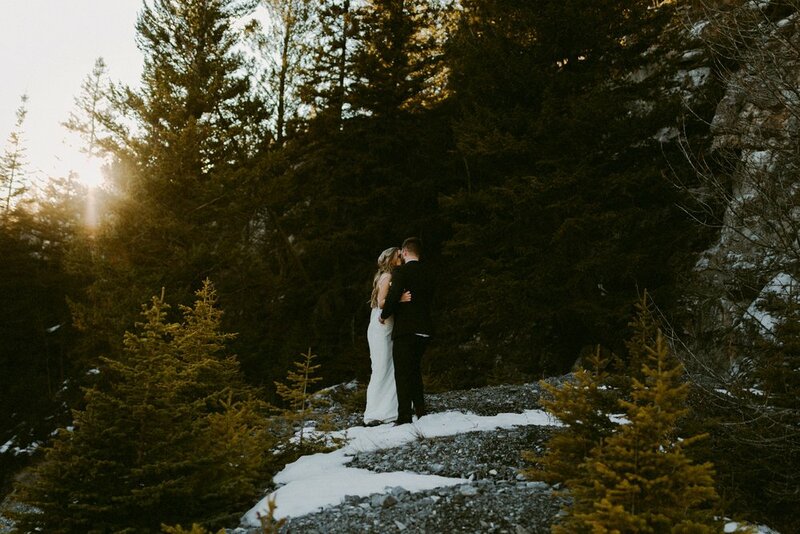 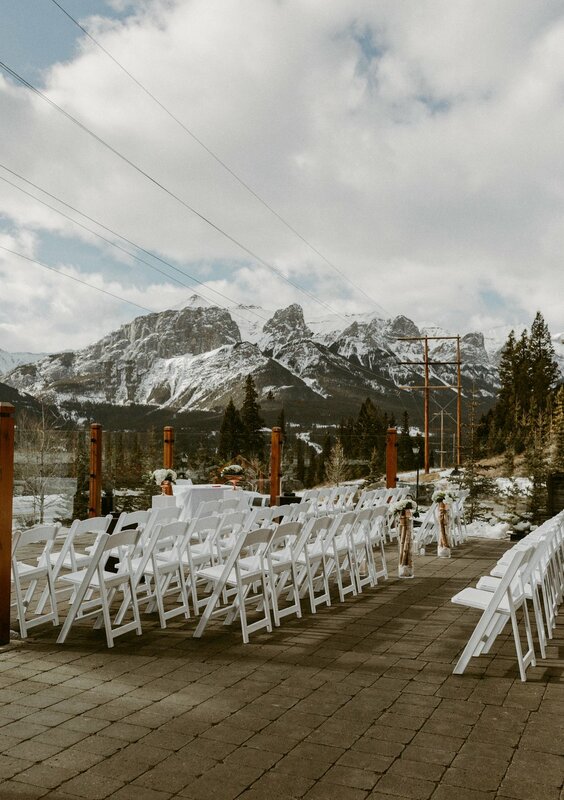 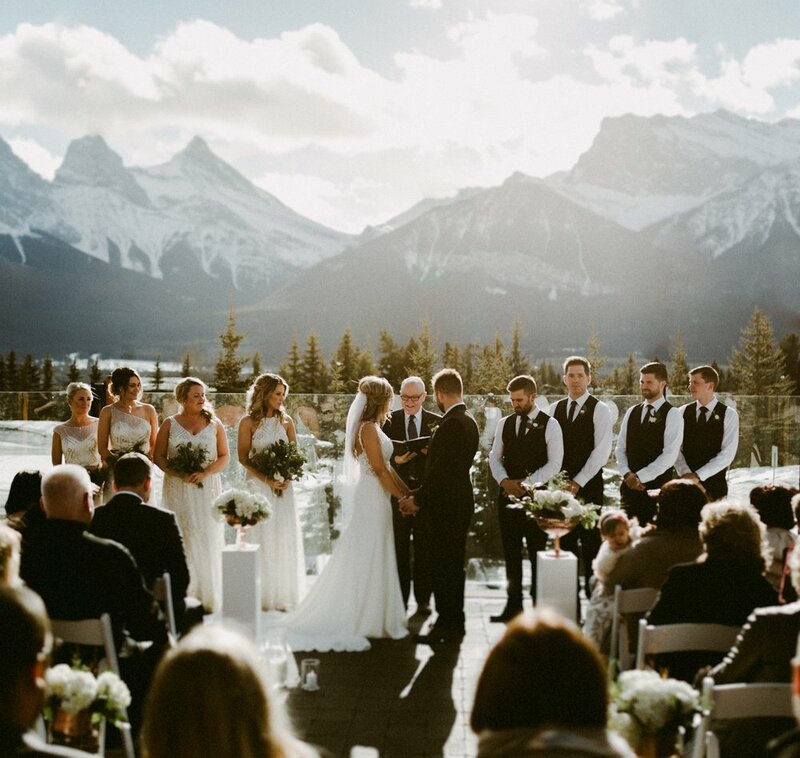 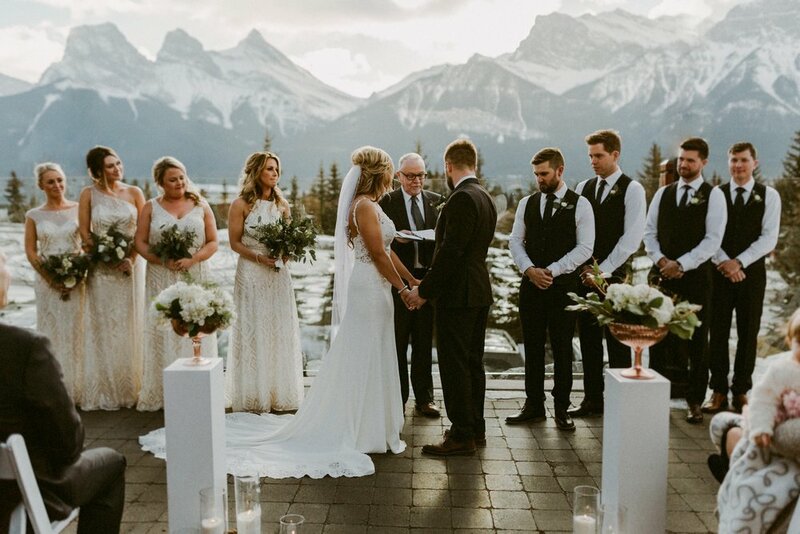 This past February I had the absolute pleasure of traveling to beautiful Alberta for a wedding in the mountains. 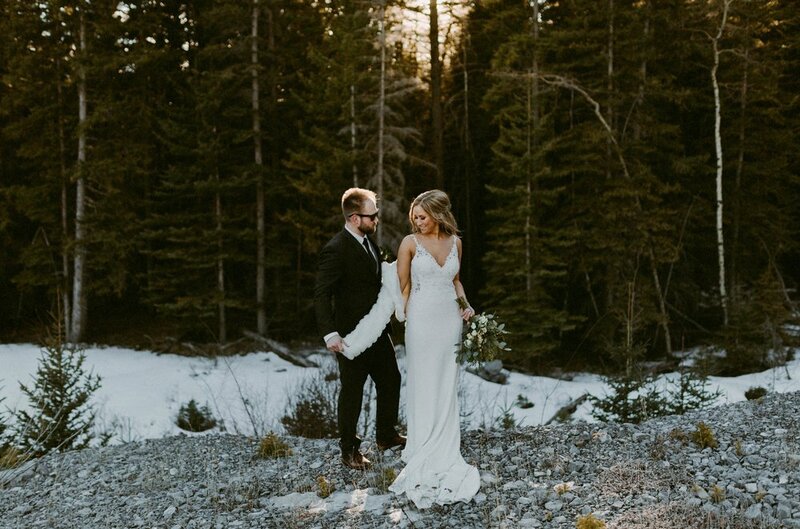 After their ceremony at the Iron Goat Pub, we snapped on our ice clamps and ventured off to Grotto Canyon for portraits. 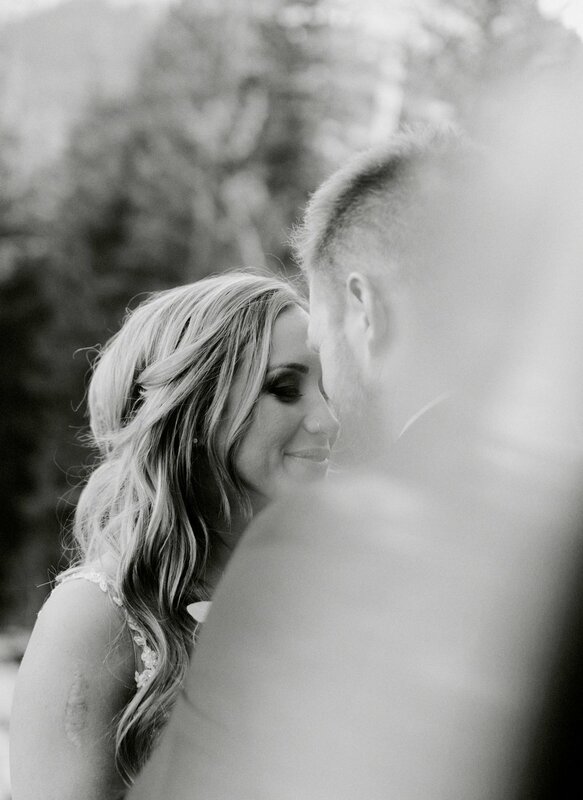 And guys, Stacie and Nash are seriously so brave. 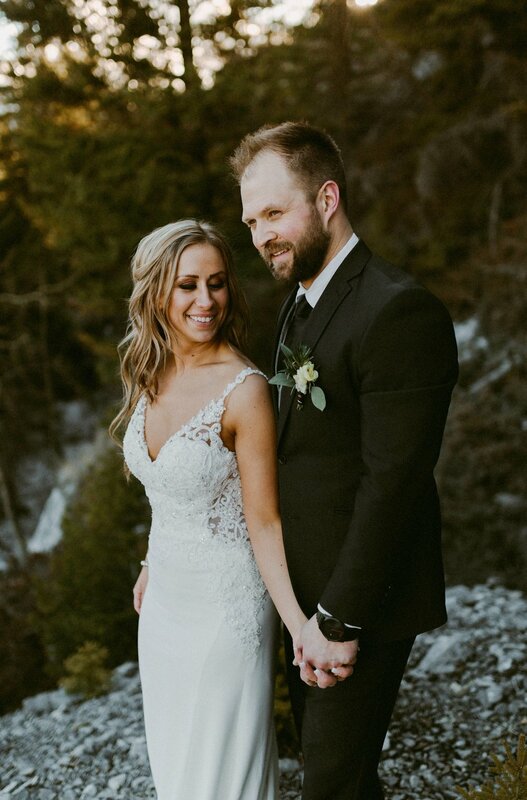 Although we didn't have time to make it to the actual canyon, they climbed a mountain for me in their wedding attire (not kidding). 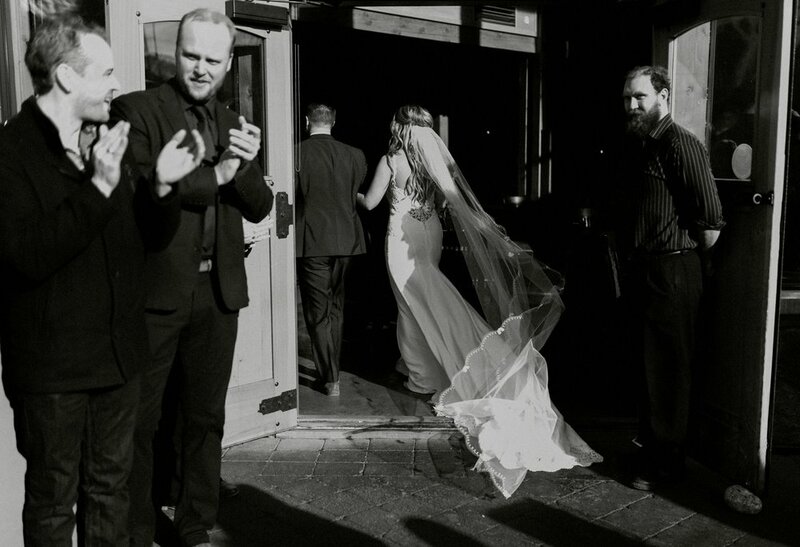 I was seriously so impressed and the whole experience was so worth it. 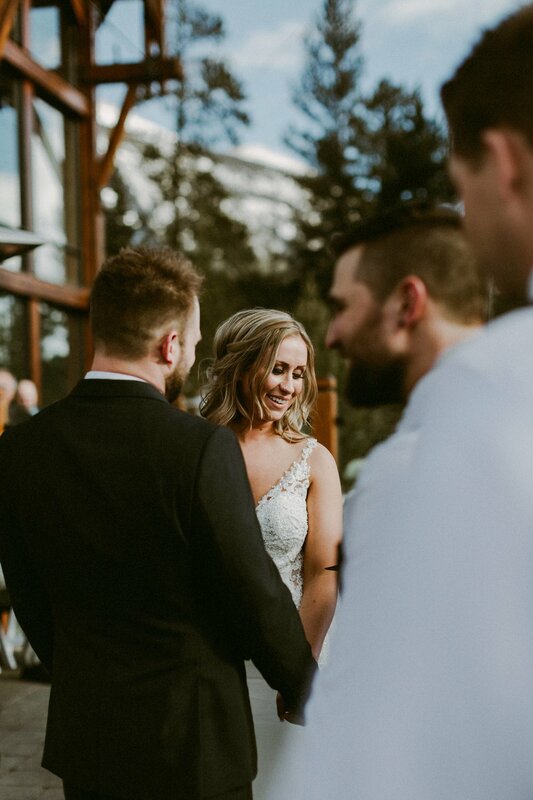 Thanks for being total troopers and for having me at your gorgeous wedding! 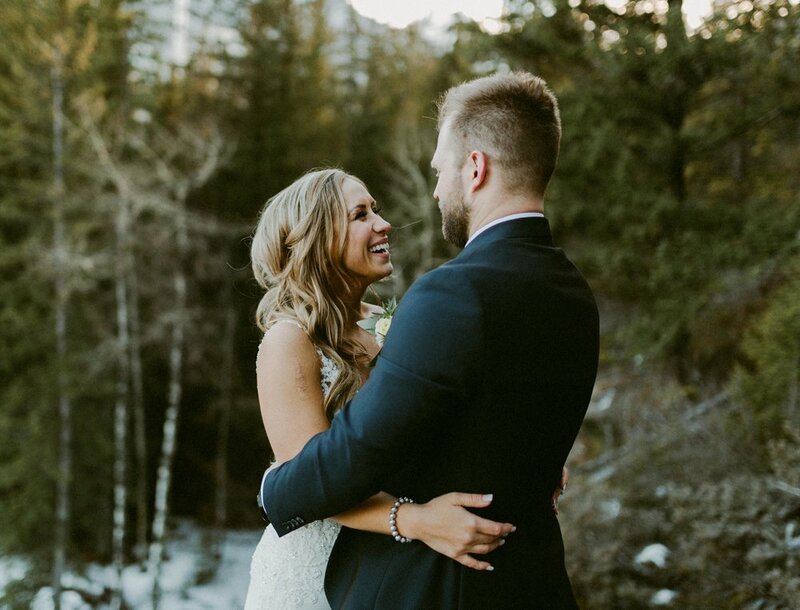 Thank you to my second shooter, Jayden Campbell Photography for shooting this one with me!